Last summer I visited a cafe in Kensington Market looking for a part-time job. The guy behind the counter told me that the owners usually just get their significant others and friends to work the shop, so if I was looking for work I could try some hot dog place just outside of the market. “Yea, there are lots of hipsters there,” he said. I let that one slide as I looked around this cafe, that sells records. And smiled. 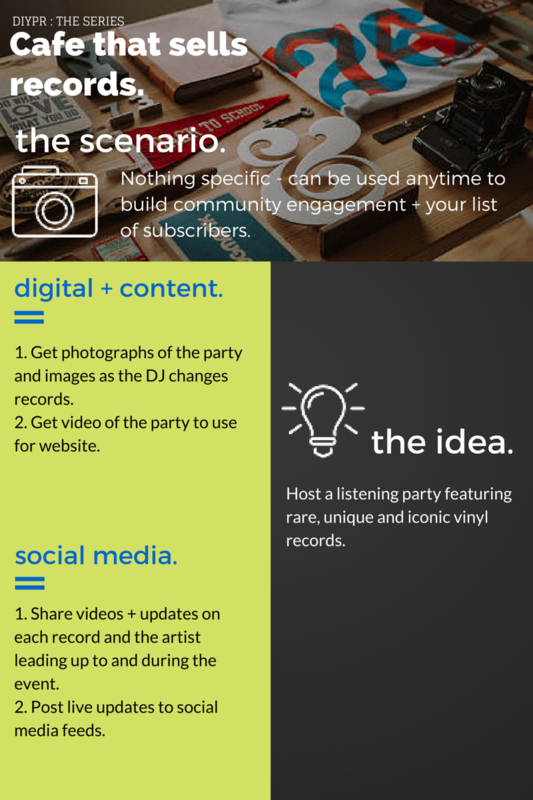 So here’s a DIYPR plan inspired by that cafe in Kensington Market.